It’s been a while since my last post so I thought it was high time to provide an update on my garden. 🙂 BTW, I’m in zone 6b, southwest Ontario. 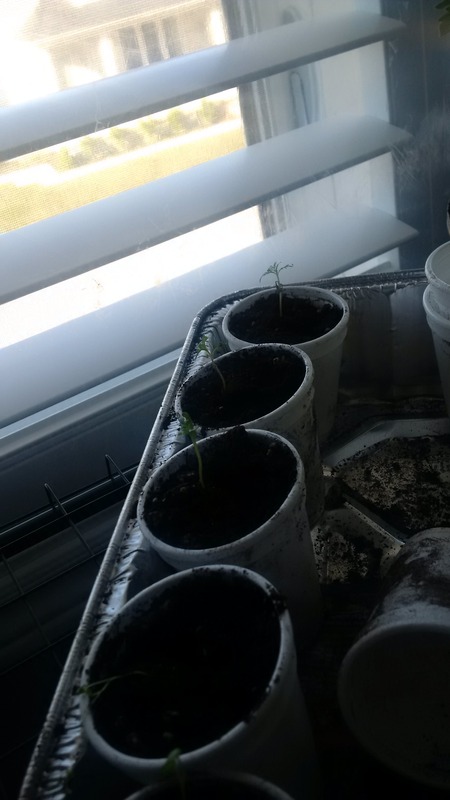 As the weather warmed up, I started planting and moving my seedlings outside. 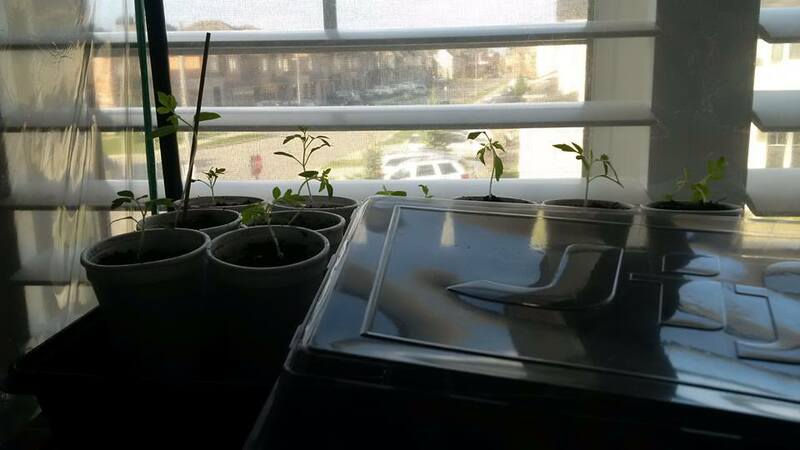 Everything survived except 2 tomato plants, which I replaced with 2 nursery-bought tomato plants. I love looking back to see how much things have grown over the past few months. Super satisfying. 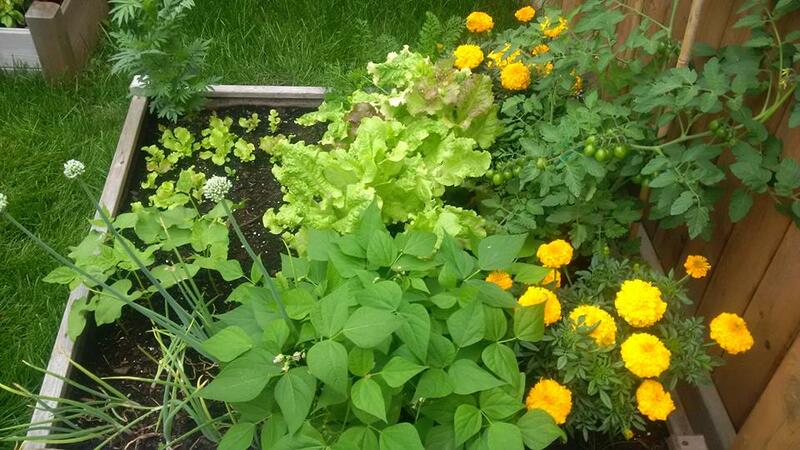 So far, we’ve eaten tons of lettuce, green peas, yellow beans, basil, mint, garlic scapes and blueberries. 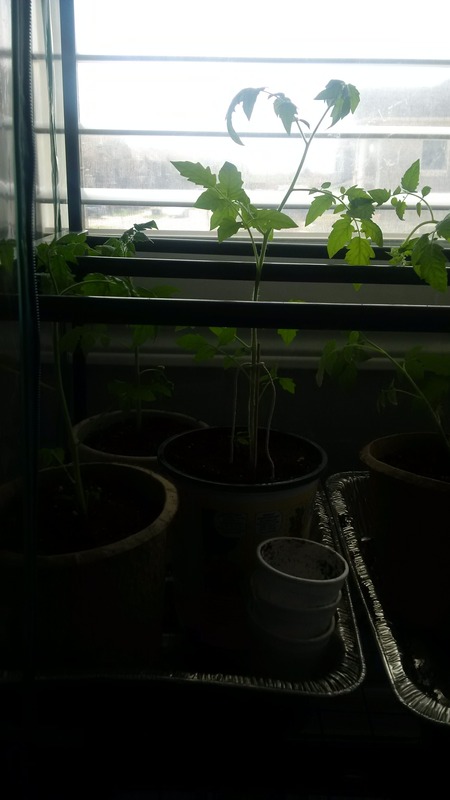 Soon we’ll have tomatoes. I’m in the middle of dehydrating chamomile and mint to make tea – first time so we’ll see how that goes. I bought blueberry bushes from the nursery but was worried about birds. I found this amazing contraption on Amazon – it’s been amazing. I haven’t lost one blueberry to birds yet! 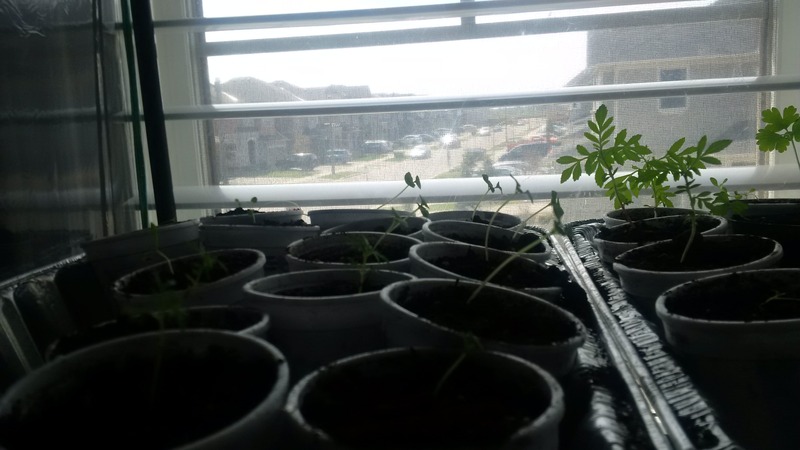 Spring has finally arrived (more or less) which means we can start prepping the garden and starting cool-weather crops, and start/continue the indoor seeds and seedlings. In my neck of the woods, the May long weekend is planting weekend. 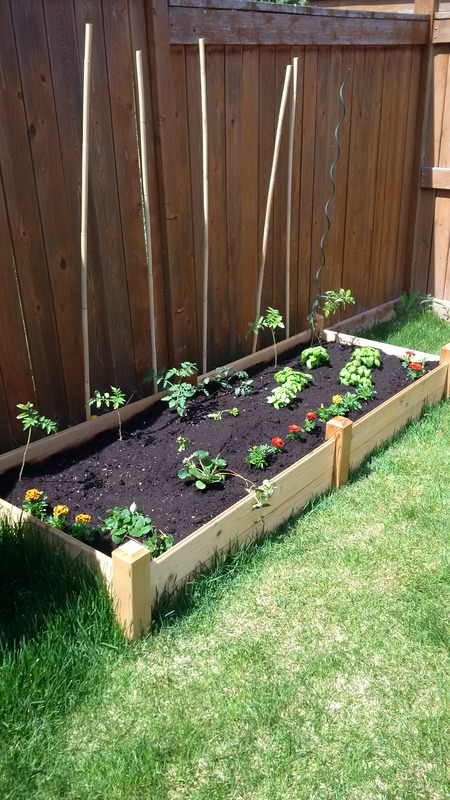 BUT – because mild weather typically starts in April, I can get started on preparing my garden beds and sow some seeds. Exciting! Ever since I put my garden plan together early in the year, I’ve been closely watching important dates in my calendar. 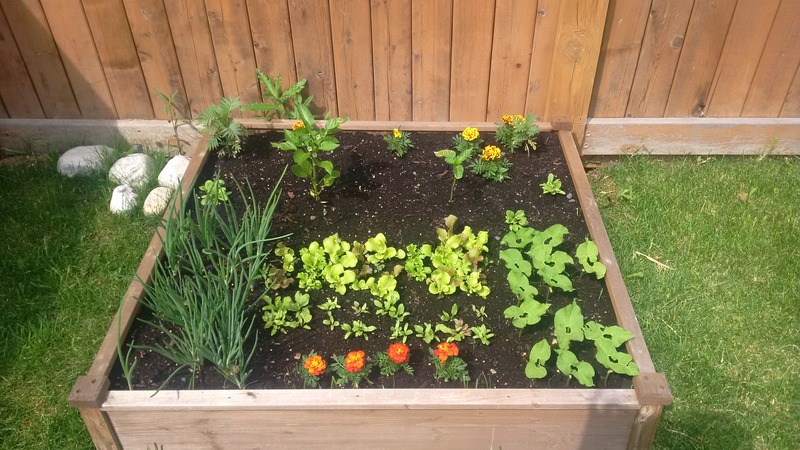 On April 21st, I (with the help of hubby) installed a new raised bed and filled it with triple mix and compost. 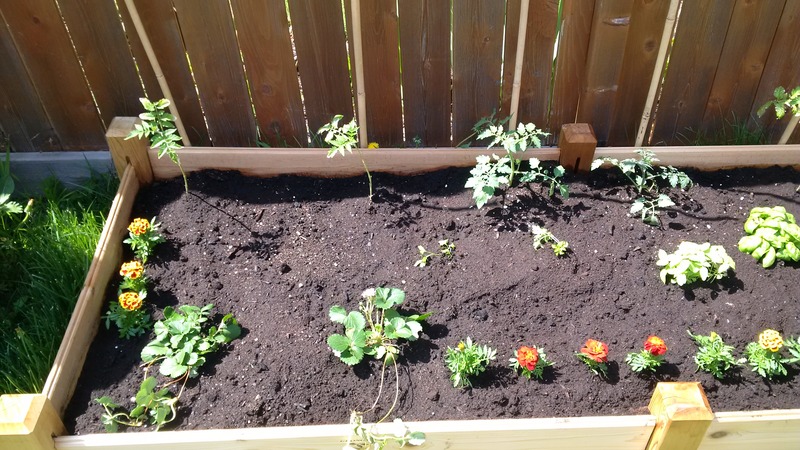 I also added compost to my other 2 existing beds. 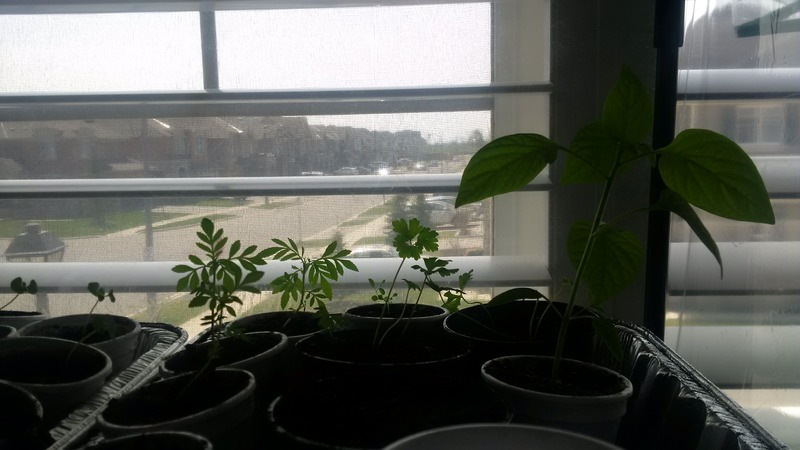 On April 22nd I sowed seeds outside for peas, carrots, lettuce (2 types) and lemon balm. 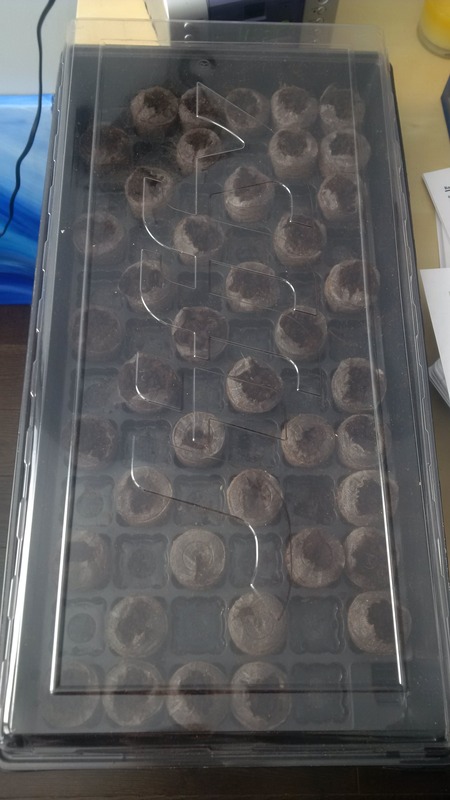 I also started seeds for basil and parsley indoors. The next key dates will be 2 weekends in May once all risk of frost has passed, usually around the May long weekend and the one prior. That’s when I’ll get everything outside and go buy some blueberry plants for my other new bed this year. I decided to dedicate a whole bed just for blueberries because of the different soil requirements (acidic) and the likelihood of needing to cover them with netting. Meanwhile, the garlic I planted last fall is looking great! 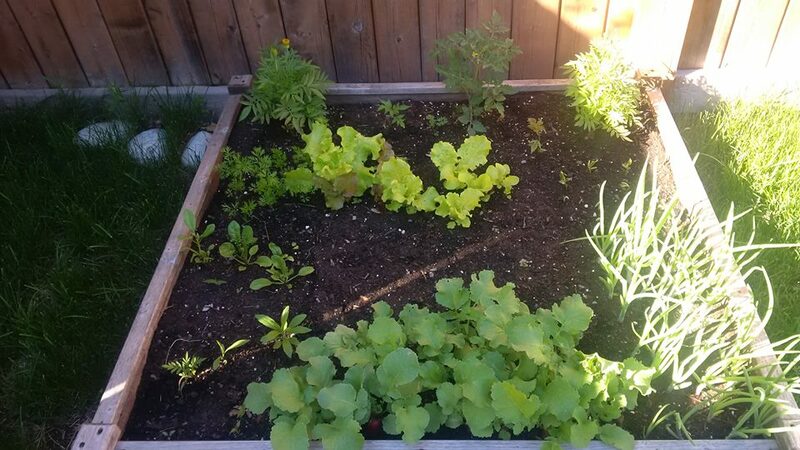 This bed already has seeds for lettuce (one variety in the bottom 3 squares on the left, with another column of another variety next to it, then beans (to be planted in May), and seeds for peas. Tomatoes will be along the top row along the fence. I tried lining this box with cardboard this time. For the other two I used weed fabric – just want to see how well the cardboard would work. 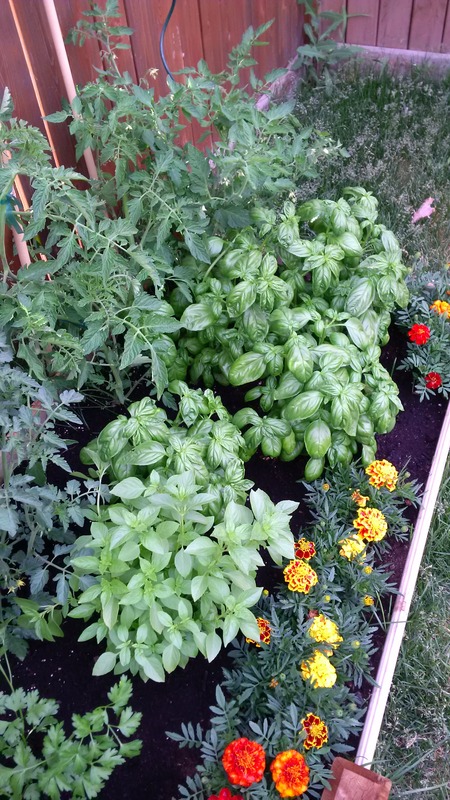 This one will have tomatoes along the back row and basil (genovese and thai) and parsley in the front. Beds are ready for more planting in May. 🙂 The new bed will go the right of the one against the fence at the top of the photo. I’m considering putting down cardboard/mulch between the beds and in the far corner to get rid of the grass and avoid complicated mowing. 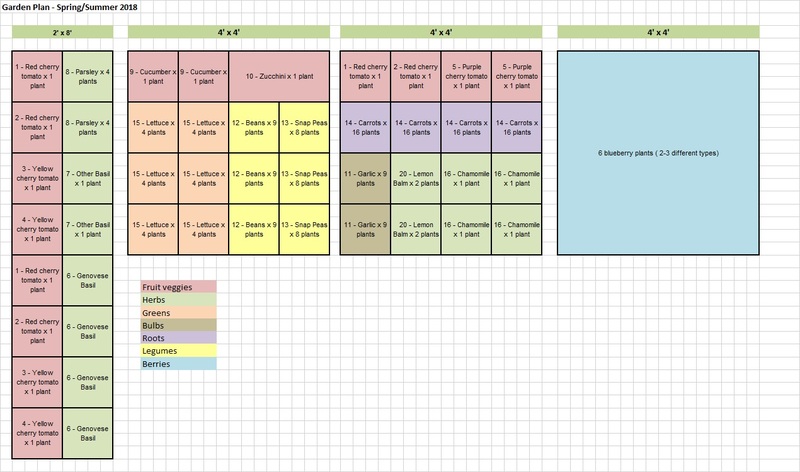 Without further ado, below is my square foot garden plan layout for this year – click on it to make it larger. 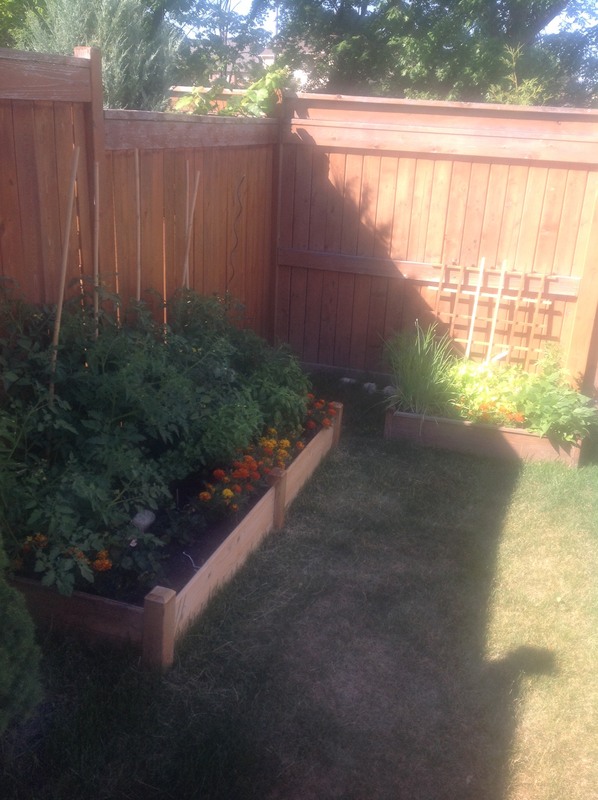 I will still do my usual plantings (albeit different kinds) of cherry tomatoes, basil, parsley, lettuce, beans and carrots. Oh, and french marigolds to repel the bugs. I’ll be trying some new crops this year: cucumbers, zucchini, garlic (already planted this past fall), snap peas and blueberries. 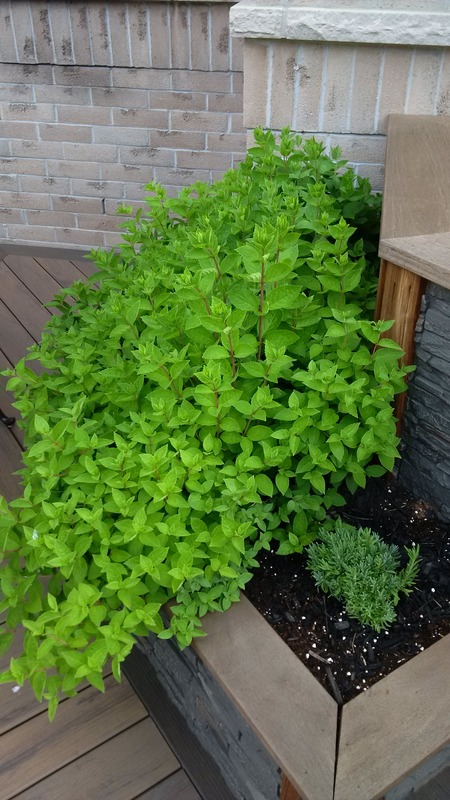 Plus, to assist with my life list item to make my own tea, I’ll be planting chamomile, lemon balm and mint (the mint in its own pot because it can be invasive). I’ll be getting a dehydrator to help with that task as well. I did all my research and bought all the seeds this morning. 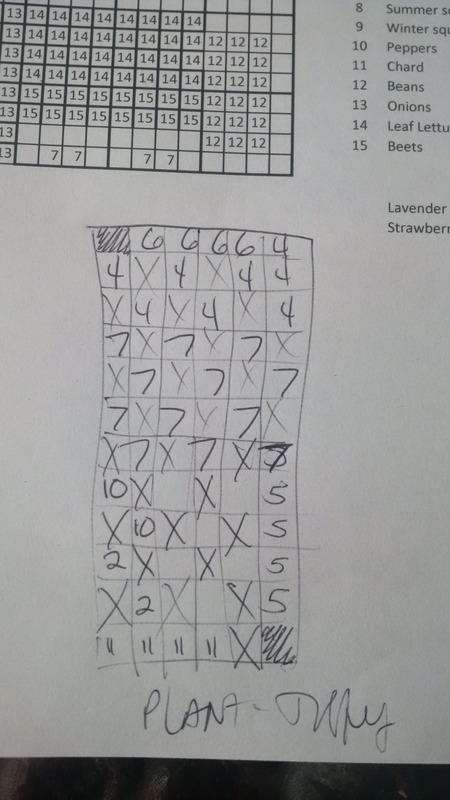 I’ll be picking up blueberry plants closer to planting time and I think I’ll plant a couple of other types of basil in 2 of the squares for variety. The purple basils have caught my eye – imagine what a pesto made with purple basil would look like – stunning! My plan is to cover the entire blueberry 4×4 bed with netting to protect them from the birds. 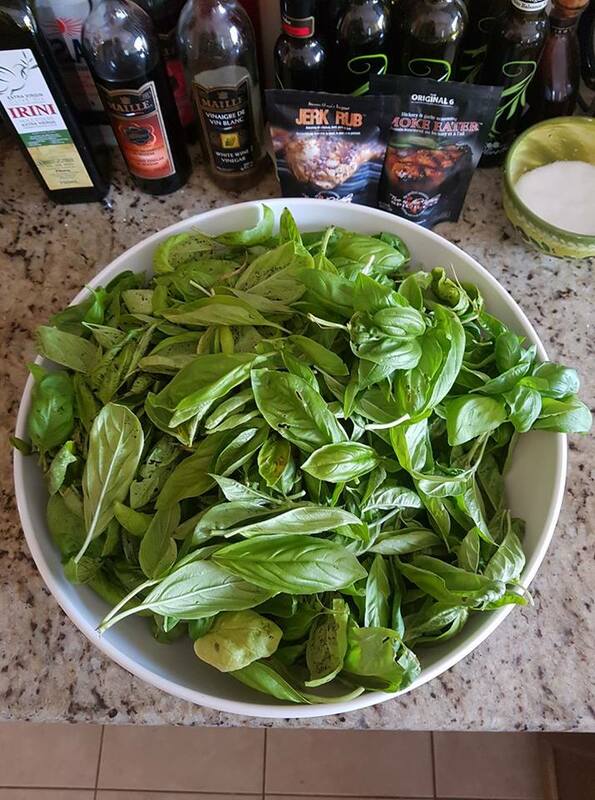 For the basil, I’ll keep some for pesto and dry the rest for cooking. Same for the parsley – I’ll use some fresh and dry the rest. I’ll dry the chamomile, lemon balm and some of the mint to make tea (my favorite tea has all of those elements in it :)). Plus, gotta save some mint for the mojitos. I love growing my own food and walking out into the yard to pick ingredients for meals – nothing tastes better than tomatoes warmed by the sun or a fresh picked carrot – it’s incredible how different (and better!) things taste compared to the store. I also enjoy babysitting my plants and keeping an eye out for them, trimming here, watering there, picking off pests (Japanese beetles, I’m looking at you). It’s incredibly relaxing, fulfilling and the bigger jobs provide a good workout too. 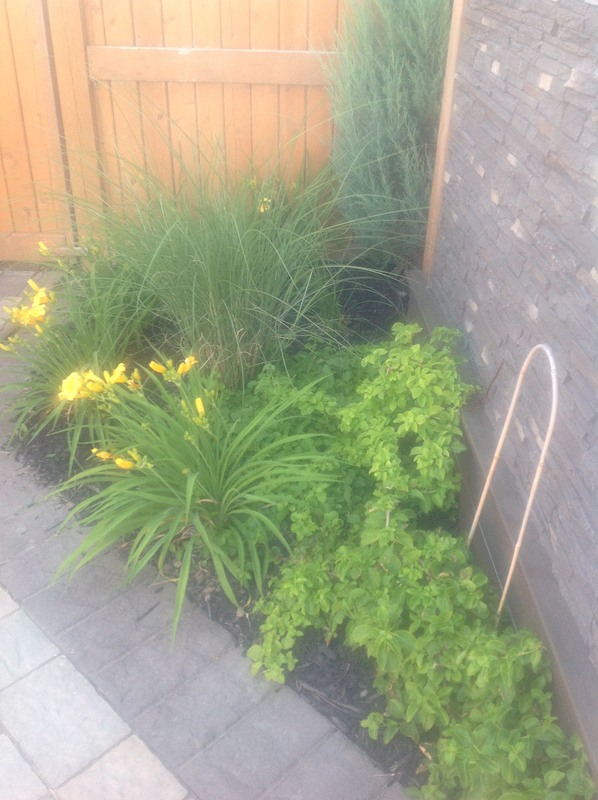 Weeds are few with the square foot garden method because the “good” plants take up all the space and don’t leave any room for the weeds. It’s fabulous. 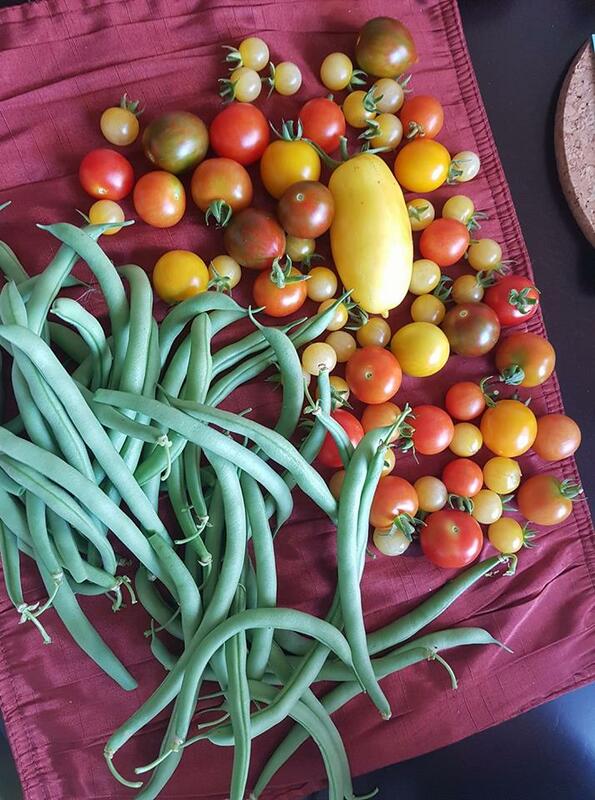 What started out pretty slow in the garden due to all that rain we got this summer turned out pretty good nonetheless and we’re now having trouble keeping up with the tomatoes! Here are some pics I took between April and August showing how things went as well as some of the harvests along the way. 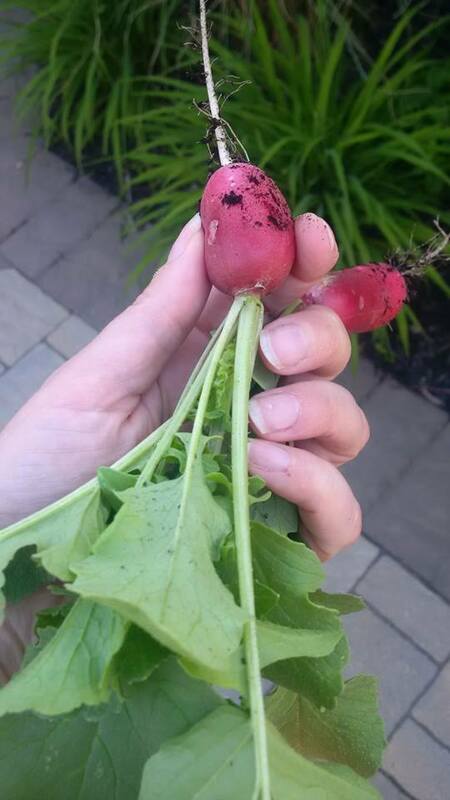 I also direct-seeded some cool-weather tolerant ones (lettuce, radishes, onion sets). 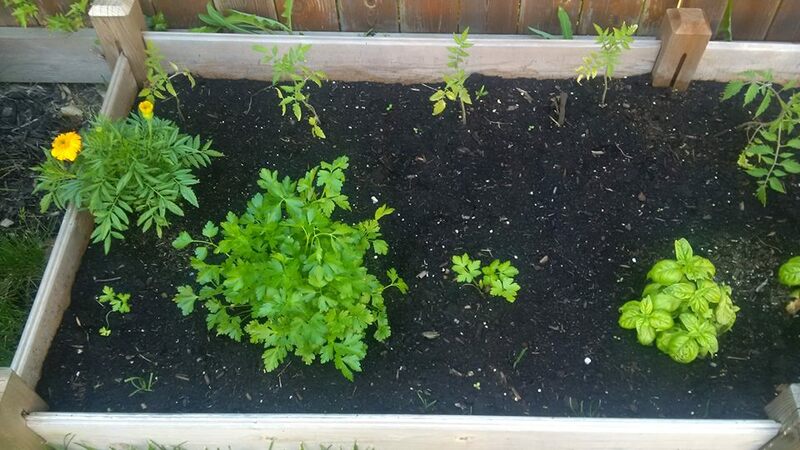 Transplanted the tomato and parsley seedlings in May. Tried growing carrots for the first time (amazing!!). 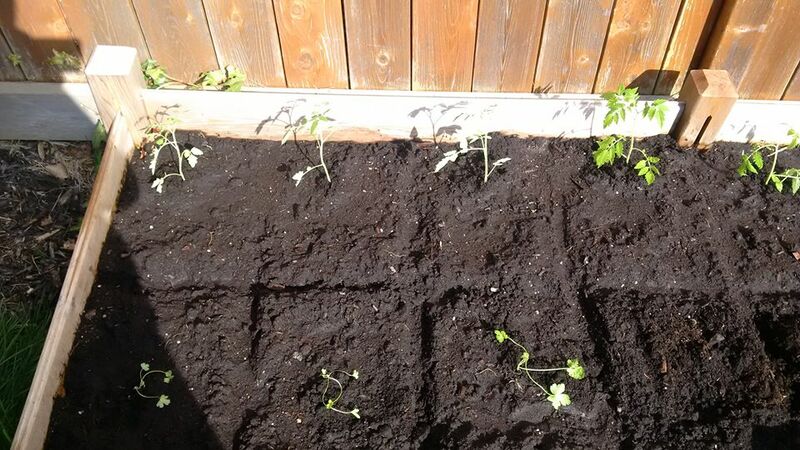 Tomatoes, lettuce, radishes, onions and carrots doing well. 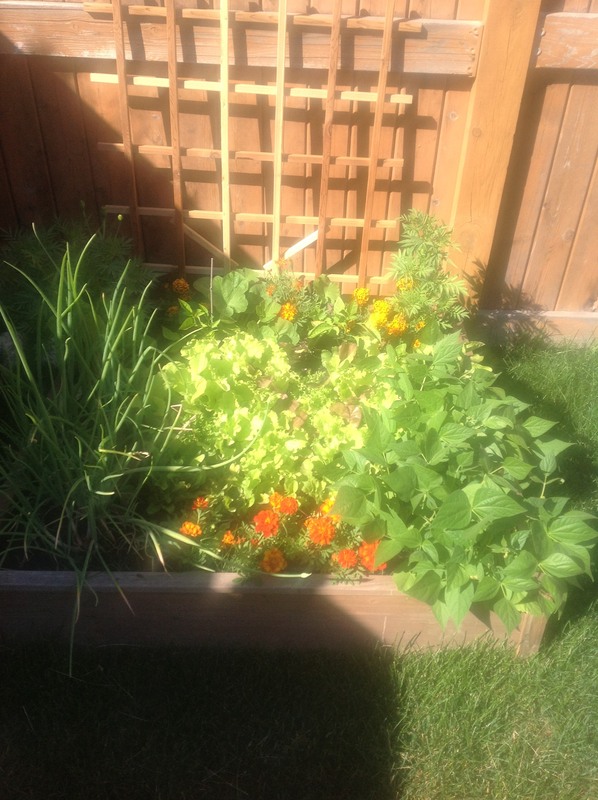 Also plant marigolds (corners near the fence) to keep the bugs away. Had to replace one of my parsleys with a transplant from the store (mine didn’t make it). 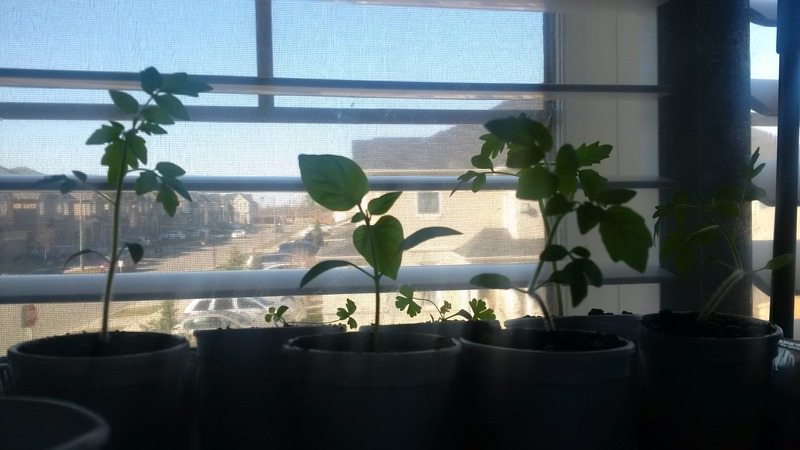 Bought basil transplants as well – they do better than when I try to grow them from seed for some reason. 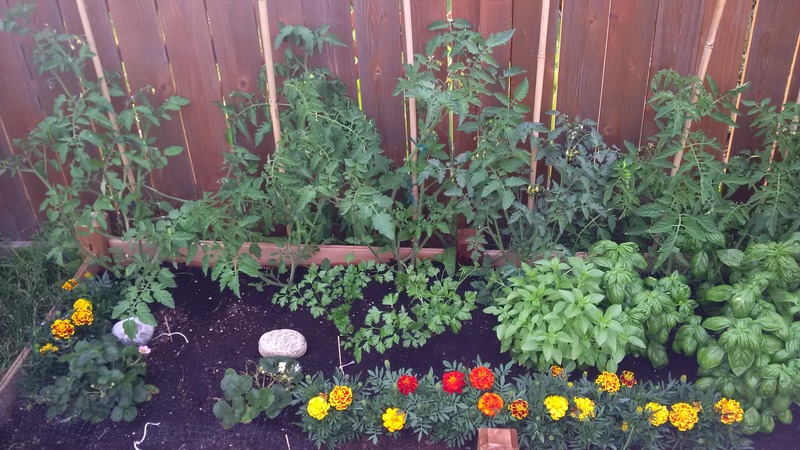 Tomatoes and marigolds doing OK. 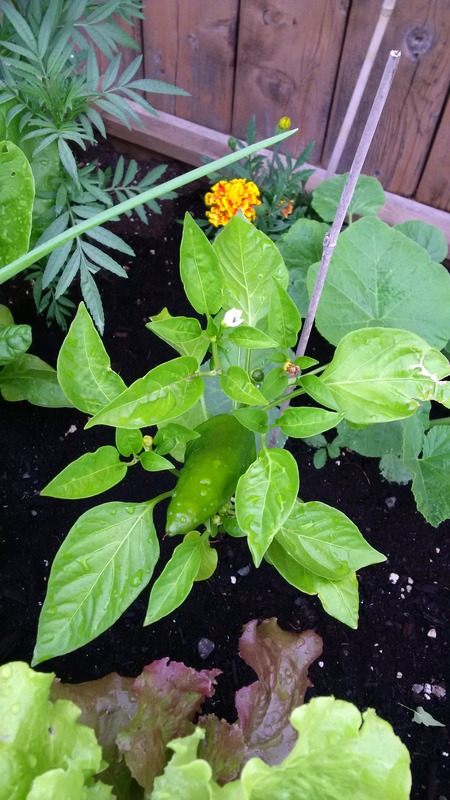 Stuck a pepper seedling in there too (middle) but nothing came of it this year – just a plant, no flowers, no peppers. 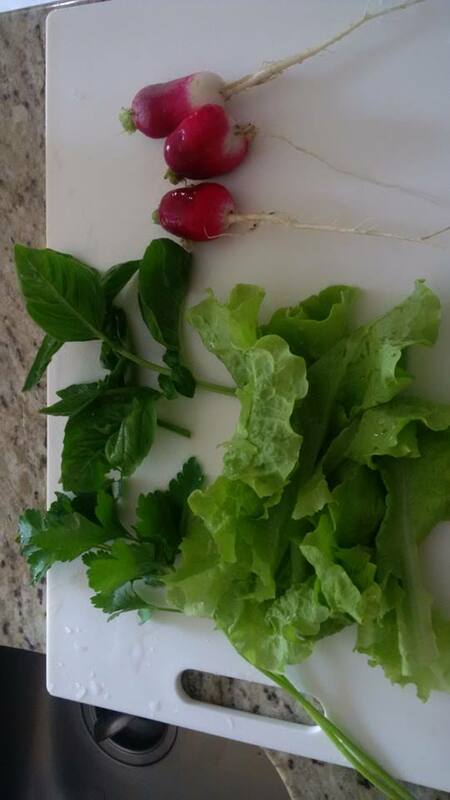 Mini harvest to add to salad – radishes, lettuce, basil and parsley. Planted beans in 2 batches, one seeded in May and one to replace the radish planting when harvested. 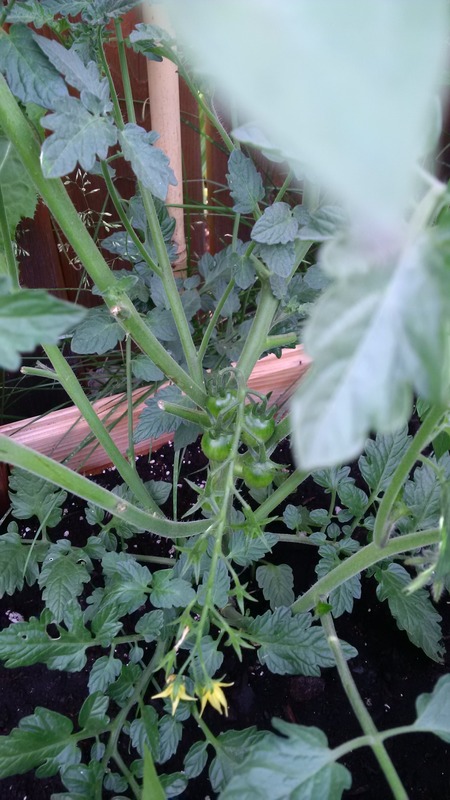 Tomatoes took forever to ripen – possibly due to all the rain. It seemed like everything was a month behind. 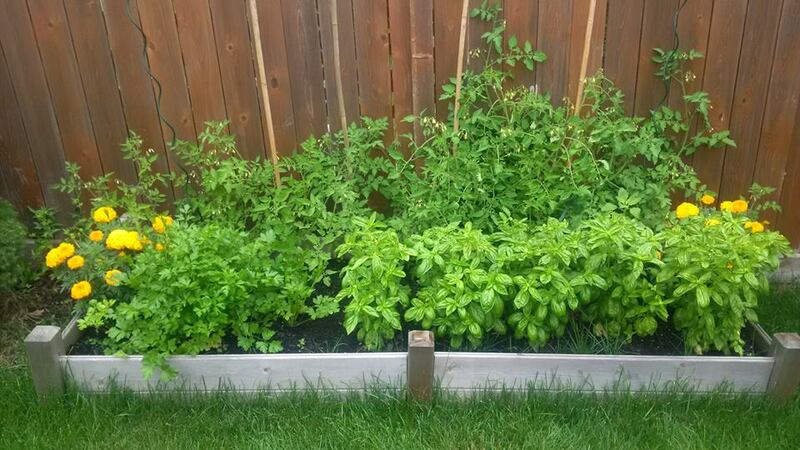 Basil, parsley and cherry tomatoes all doing well. 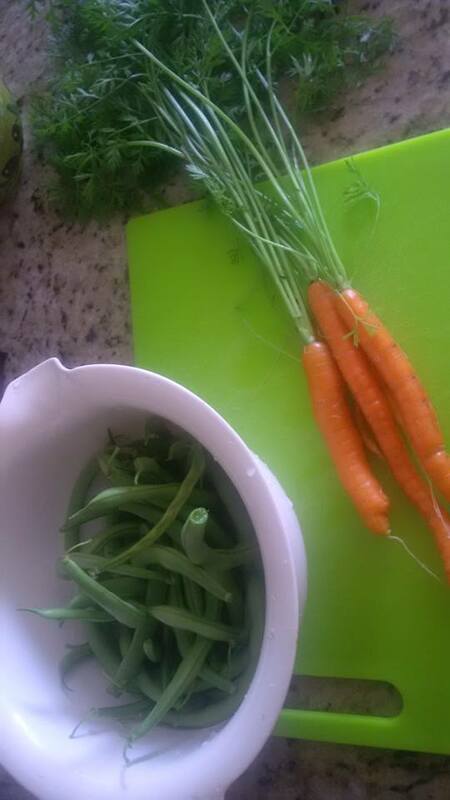 First harvest of carrots and green beans. I’ll be growing carrots going forward for sure – they were delicious. And green beans are so easy – love them. 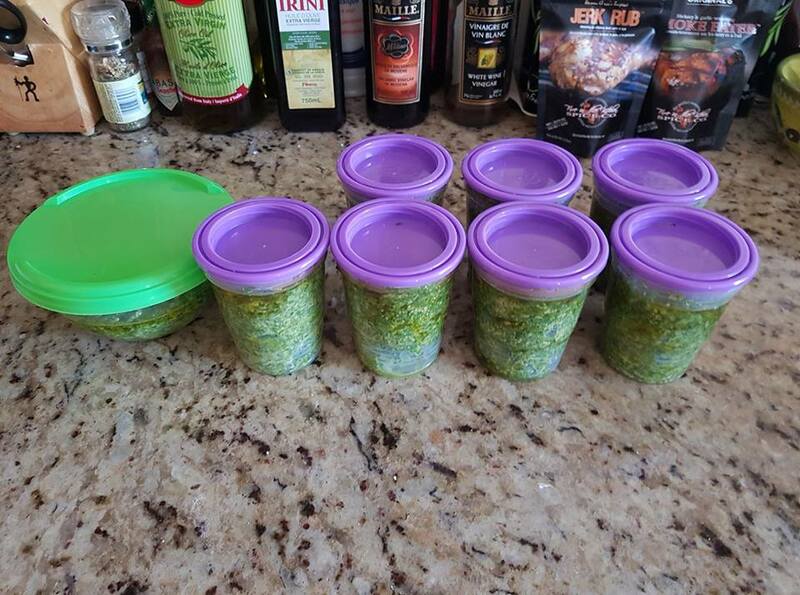 One tub for the fridge and 7 mini containers for the freezer. 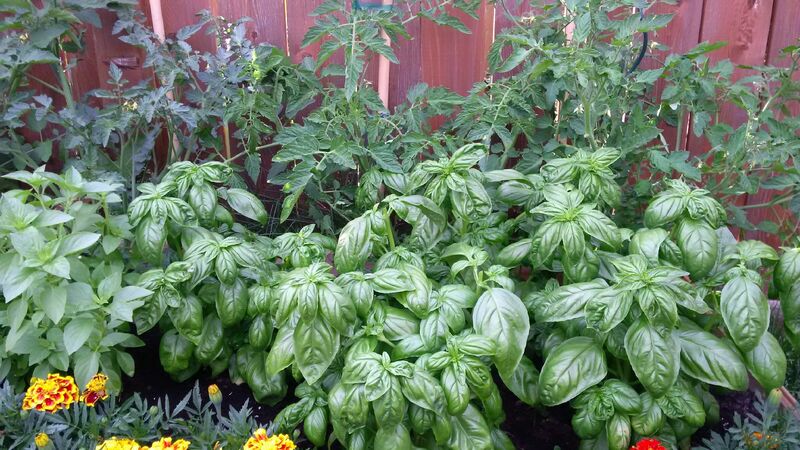 Love having fresh basil year round. I tried various combinations this time: pine nuts, walnuts, basil, parsley in various ratios. I blanch it first (stays greener that way), then prepare it in batches in the food processor, add it to the container then pour olive oil on top to cover. We can’t keep up with the tomatoes. They seemed to all start ripening at once! 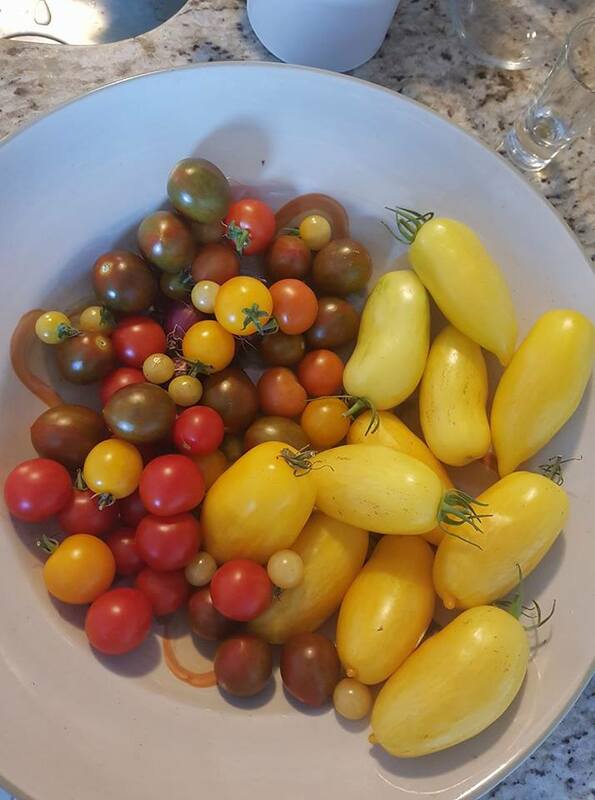 The only ones not yet ripe are the Thai Pink Egg cherry tomatoes but there are lots of very pale yellow (almost ivory) tomatoes on the vine – can’t wait to try them once they turn pink. This is from the second batch of green beans. 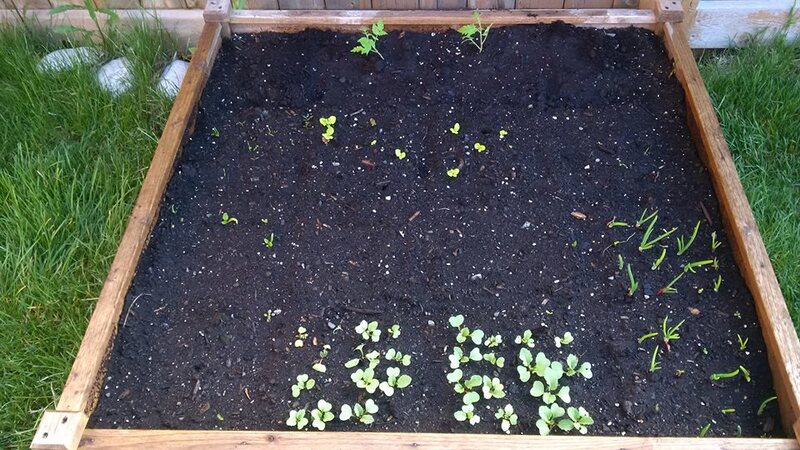 Meanwhile, I’ve planted seeds for fall crops: turnips, beets, carrots, spinach – all are sprouting nicely. Once the rest of my crops are done, I’ll plant radishes, kale and chard seeds. Can’t wait!! 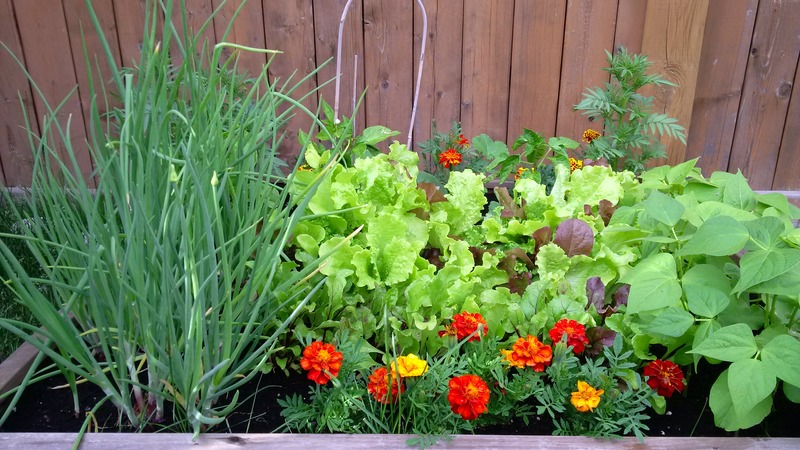 Early in the year, I start planning my garden and make preparations for planting season. I can’t wait to get outside. 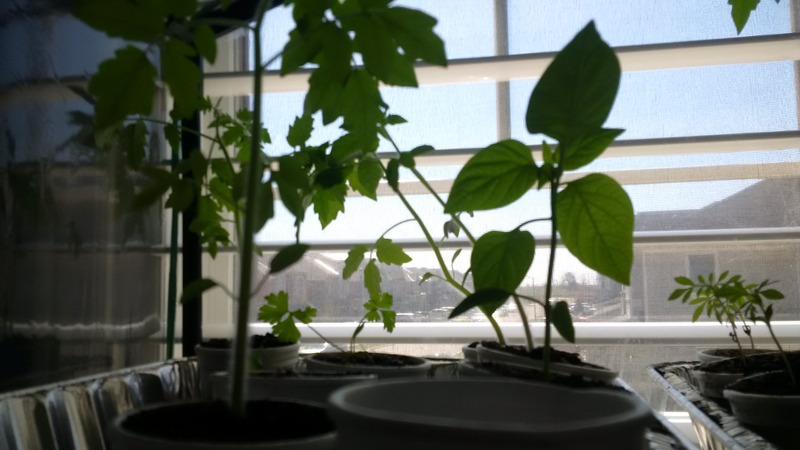 The plan this spring was to start some seeds indoors and sow the rest directly outside. In past years, I just waited to transplant everything outside until risk of frost had passed for my area (SW Ontario) but this time I did a bit more research, planned out a chart for each item and followed that instead. 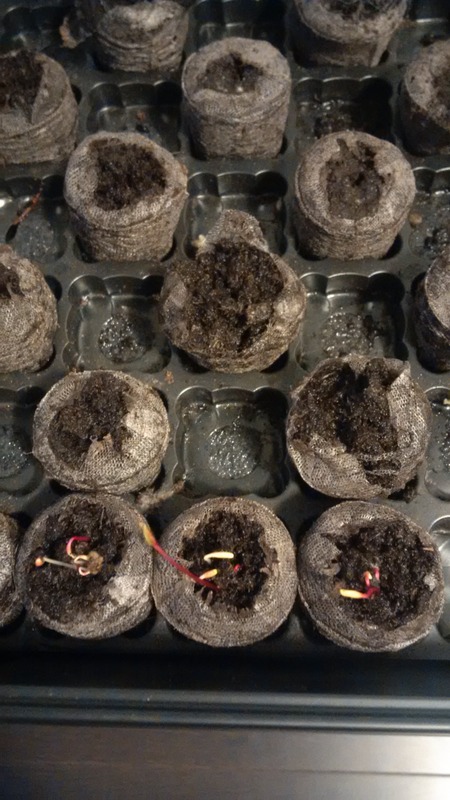 I was able to sow seeds as early as April for the cold-hardy ones (radishes, spinach, lettuce, carrots). We’ll see how things go! 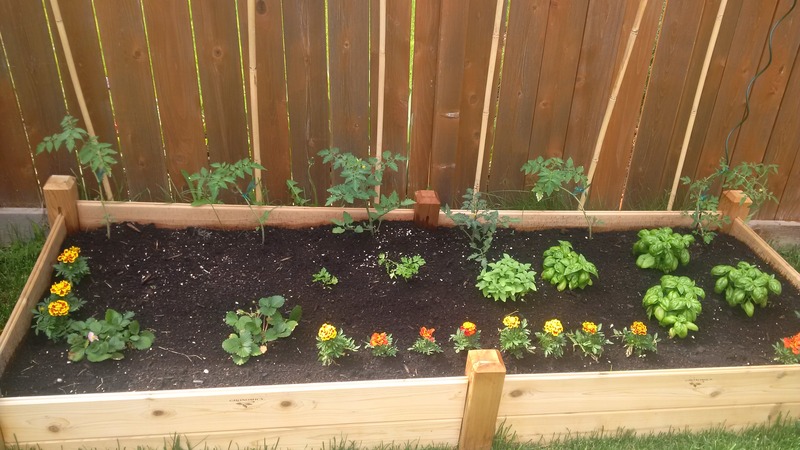 As of a week ago, everything is now outside in my 2 square foot garden beds (4×4, 2×8). 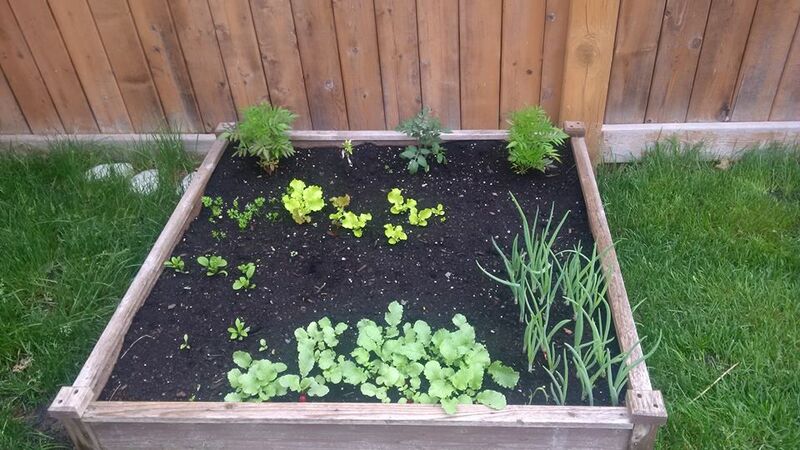 The radishes, onions and lettuce are coming along nicely. I can see the tips of the carrots and spinach. 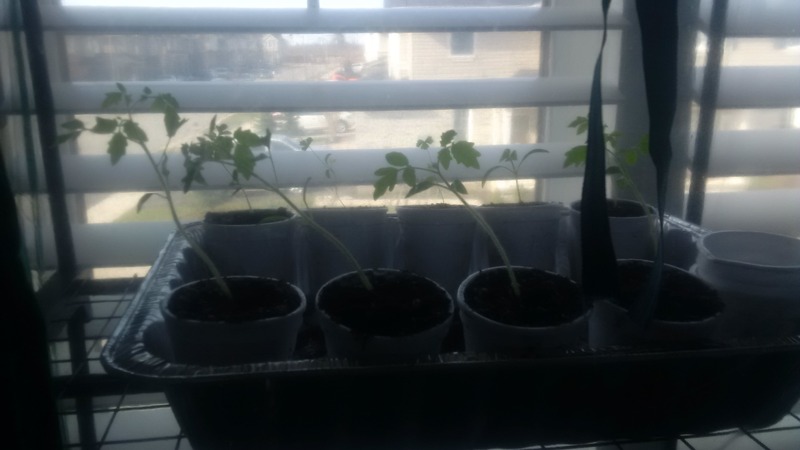 I transplanted the tomatoes and parsley and they’re recovering a bit from transplant shock but they’re resilient buggers – they should bounce back. 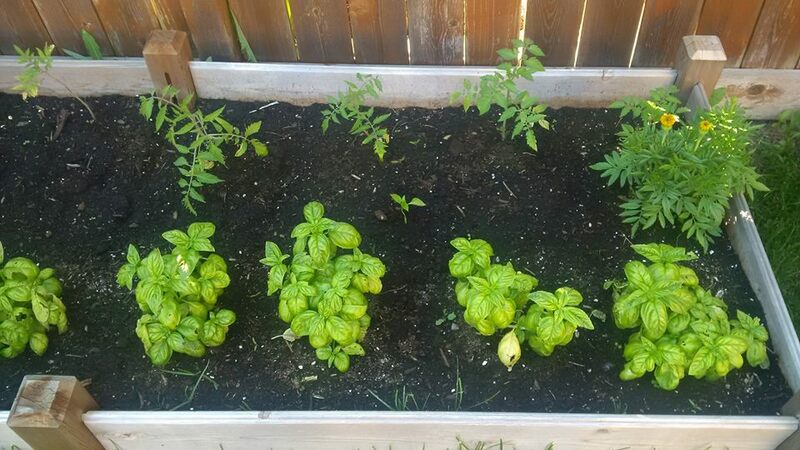 I bought basil from the garden centre (my seeds from last year didn’t take) – and I planted those on Saturday. So excited that garden season has officially begun!!! 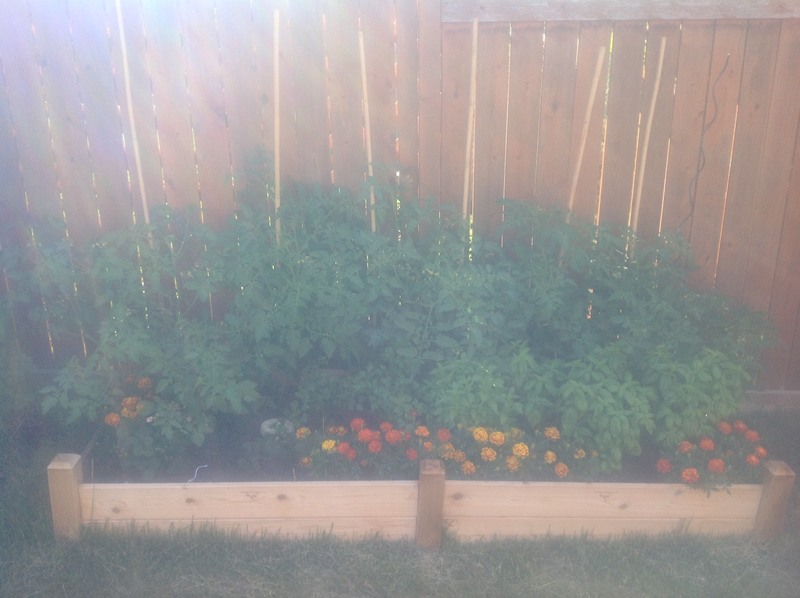 Last year was my first attempt at square foot gardening. 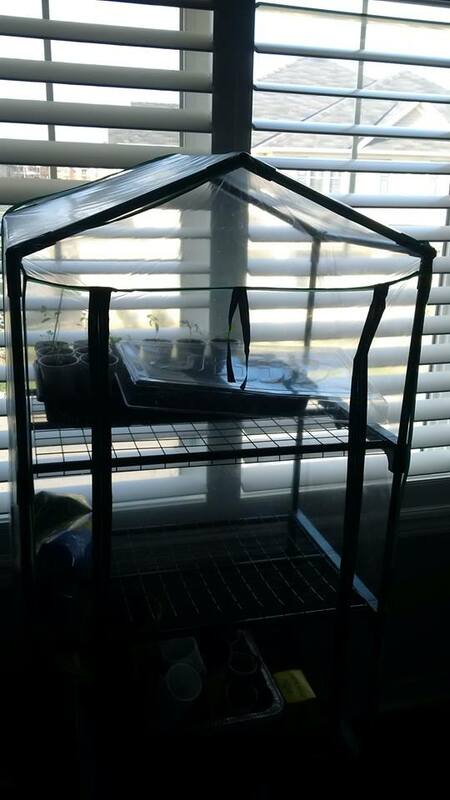 I had grown tomatoes and herbs in containers before, successfully,but wanted to try my hand at something new with a larger footprint. SFG was right up my alley, and it worked out well. So well that I wanted to increase my garden this year. 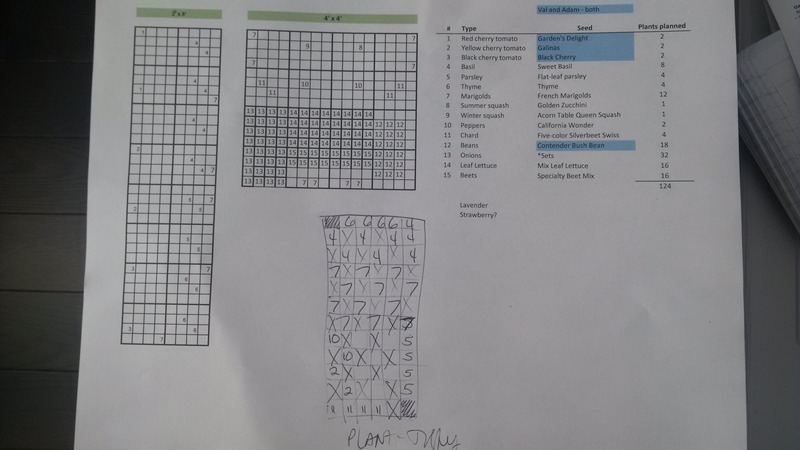 I started planning in January and February, making plans for my garden (Excel is awesome), researching companion planting, reading everything I could about what grew successfully in my neck of the woods. Ordered my seeds. Got my jiffy pods organized and sowed the seeds in March to start them early indoors. 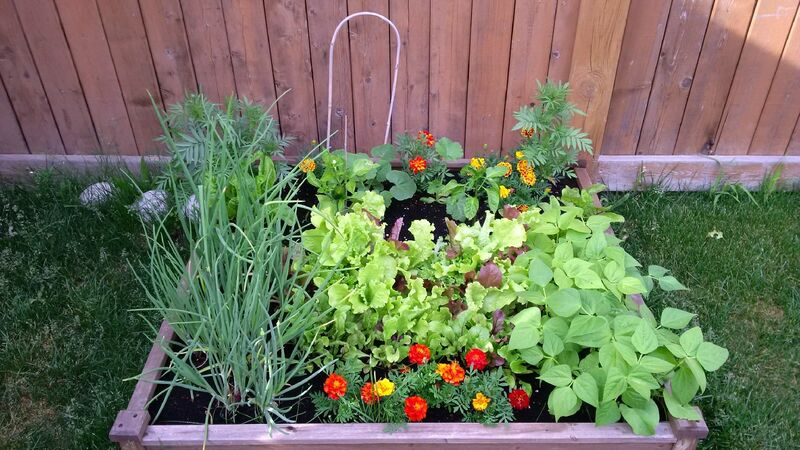 For the others that grew very quickly, my plan was to direct sow into my garden in May. 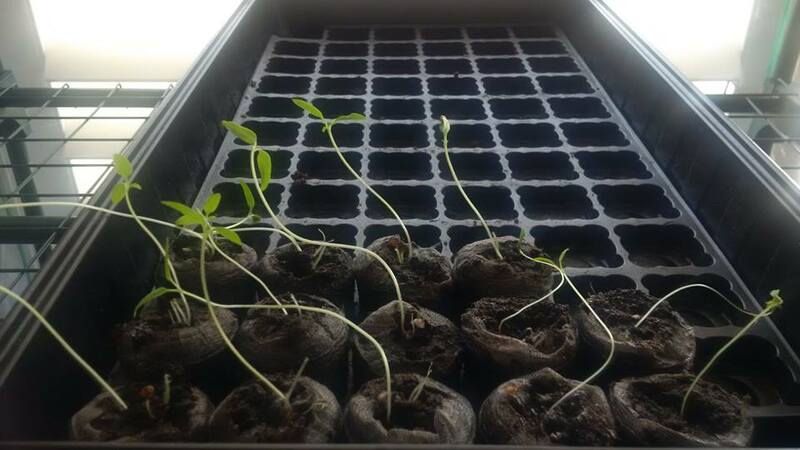 Some of my starter seeds did better than others and come May, it was time to transplant them outside. I used Triple Mix for the soil with a few bags of compost (mix of sheep and cow), plus I added plant food. 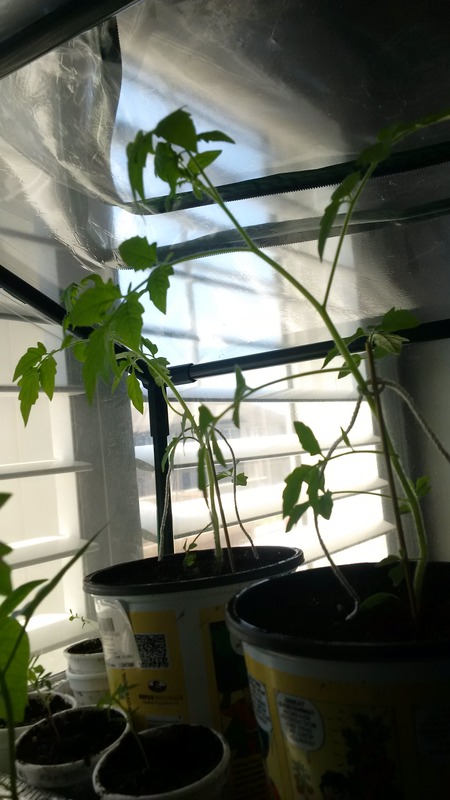 Two of my tomato plants didn’t make it. After suffering from a bit of transplant shock and recovering nicely (I had to tie 2 of them to stakes to keep them as they were falling over), the other four are doing awesome, I bought another two at the nursery. One pepper survived, and I replaced another one. The parsley and marigolds did good but I needed more so I bought some extras. 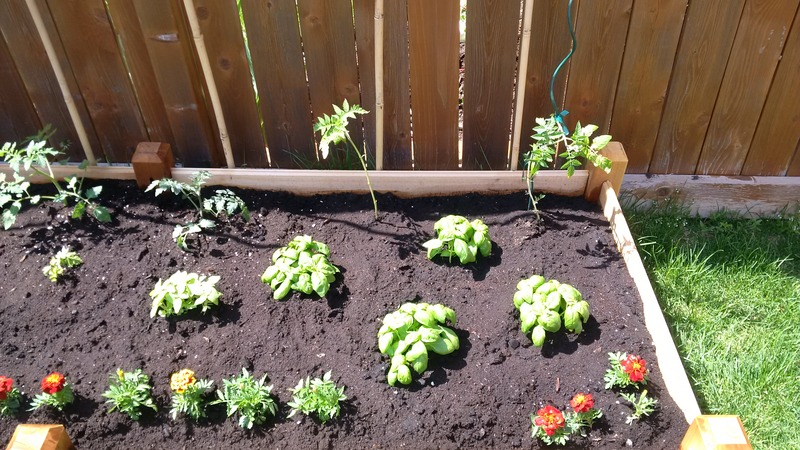 The basil and thyme didn’t make it – bought seedlings of Genovese and lemon basil at the nursery. They are thriving. I also bought two strawberry plants to have a first go at fruit. The lavender sprouted but never grew past a wisp of a stem so I bought two perennial lavender plants at the nursery. As I pick the onions, I’m planting more so I’ll keep a steady supply over the summer and fall.